Signifying security and calm, blue is everyone’s favourite colour. Unconfrontational and ever so mellow, it reminds of the gently rolling sea, beach holidays and the stillness of the world’s most beautiful lakes. These 30 bedrooms use blue to create spaces that infuse tranquillity and calm into your downtime. Whether you’re colouring in bright turquoise, royal or pastel baby blues; colouring your whole bedroom blue or simply painting a lintel; you’ll notice the feeling of calmness the hue brings to an interior. 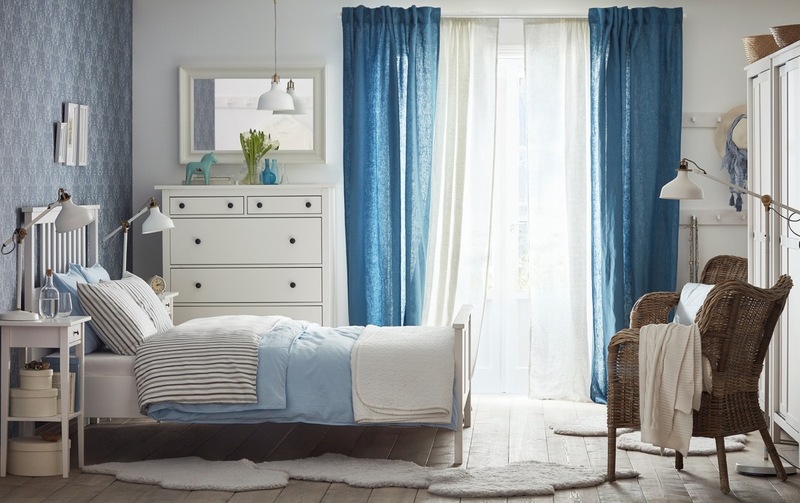 Take a gander through our collection of beautiful blue bedrooms, to see how pieces in this cooler shade could work in your next sleeping space. 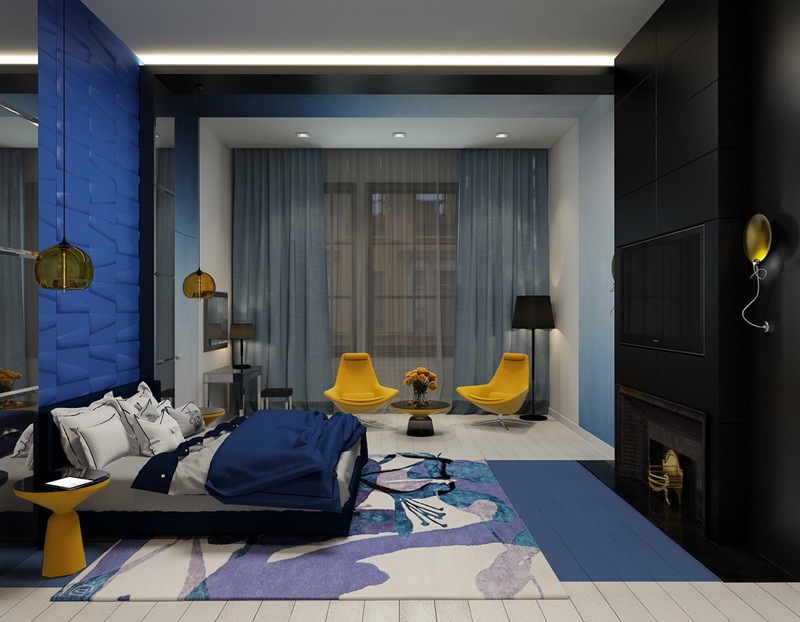 Many blues combine to make this bedroom come together. Fronted by a greyscale oil abstract, mid-blue walls combine with a turquoise floor and teal cushions for deep sea exploration. Pops of white, grey and purple show themselves in desks, bedding and a rug, giving the room’s intense colours room to breathe. Feel like a princess, in a blue and green bedroom. A chiffon canopy overlays this French-headboarded bed, while a strip of frog green stripes over the top. Simple white bedroom tables and a lightly-embroidered bedspread add to the feeling of serenity. A tropical pillow atop brings it all together. 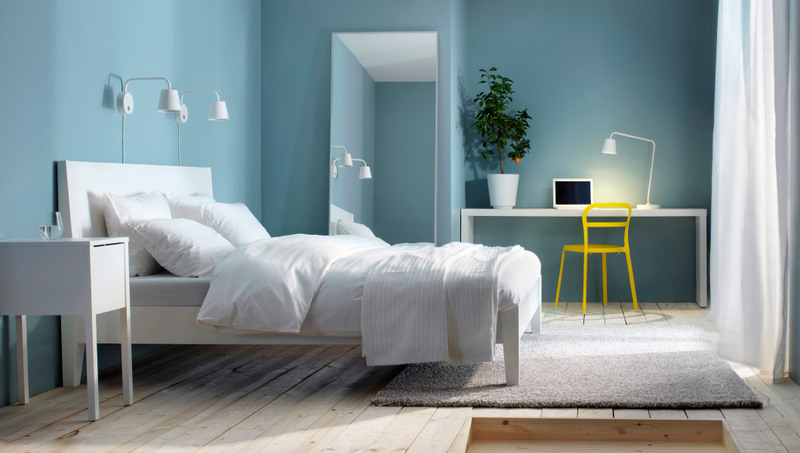 Build a blue and yellow bedroom that’s devilishly serene. The light teals of this boudoir cover walls, door frames and corridors, while light wooden flooring reminds of a beach house. White and a potted plant provide light, as a desk chair acts as an eye-catching feature. Only have a small room? 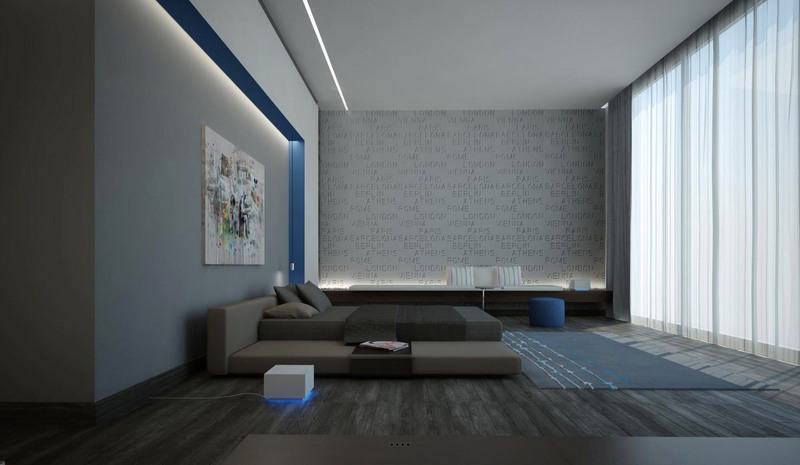 Use white, LEDs and lighter blues to create space. A sky-hued wall heads up white shelves and a striped wardrobe, while a turquoise duvet intersperses more white. A deep blue curtain frames the space. Ditch sea blues for more regal colouring. The powder blue wall in this modern couple’s space works well with an almost-charcoal duvet and multi-tone spiral print. Patterns in the vanity chair and rug add points of interest, whilst large swathes of white ensure blue doesn’t dominate. Love blue in its many shades? Think about smarter colour combinations. This bedroom paints a ceiling ledge and one wall turquoise, using baby blue in stripes beside beige blocks. A denim blue circular rug, striped pillows and darker books create an eclectic space. Make a splash with neon blue. 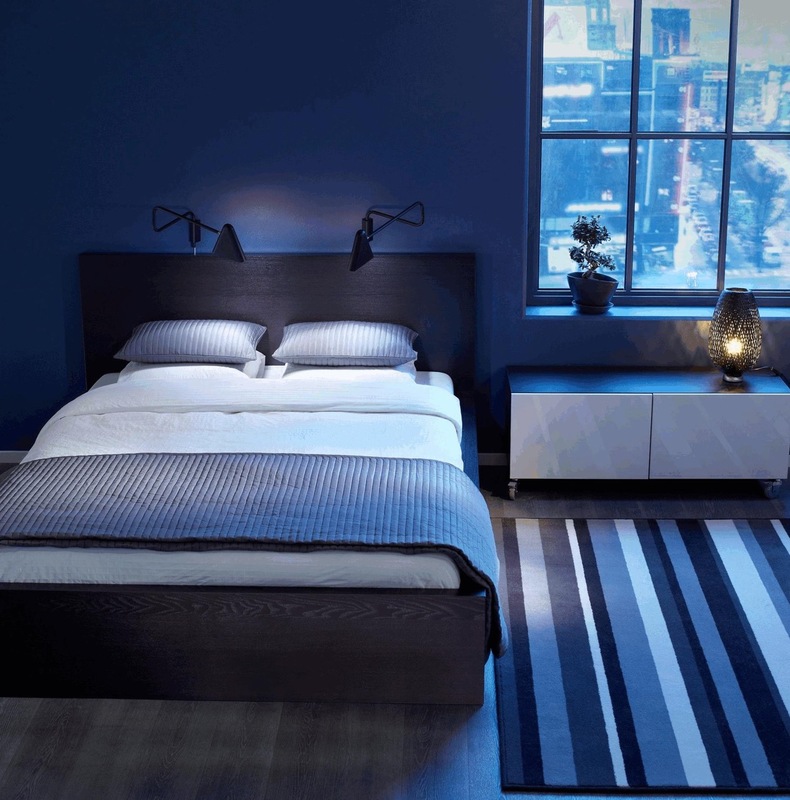 White and light wood complement this modern bedroom perfectly, as bright blue covers a wall, book shelves and a bed. 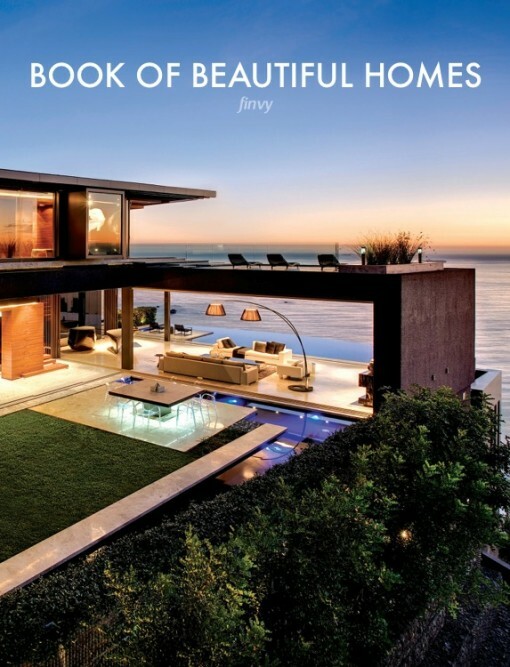 Wide windows, concrete floors and lots of space construct a room that’s cool, not cluttered. Blue rooms aren’t just for adults. This quirky kids’ bedroom uses turquoise to back bookshelves, a cabinet and bedside table, while white and beige fill in the rest. An adventurous model airplane and corrugated metal feature make this a room to remember. Deck out your kids’ sleeping space in full-on blue. 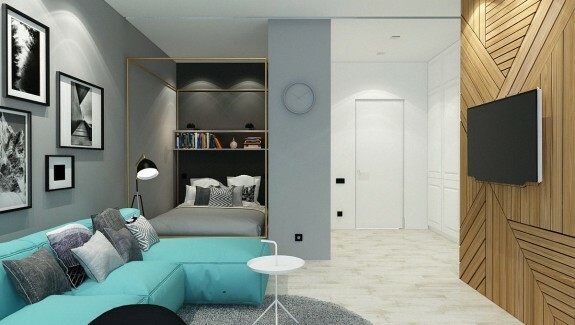 This room keeps its walls and windows light, highlighting a single bed, pull-out mattress and bookcase in turquoise blue. A circular mat and picture frames tie the hue further in. An orange seat and lamp offer complementary colouring. Why not create a kids’ haven? 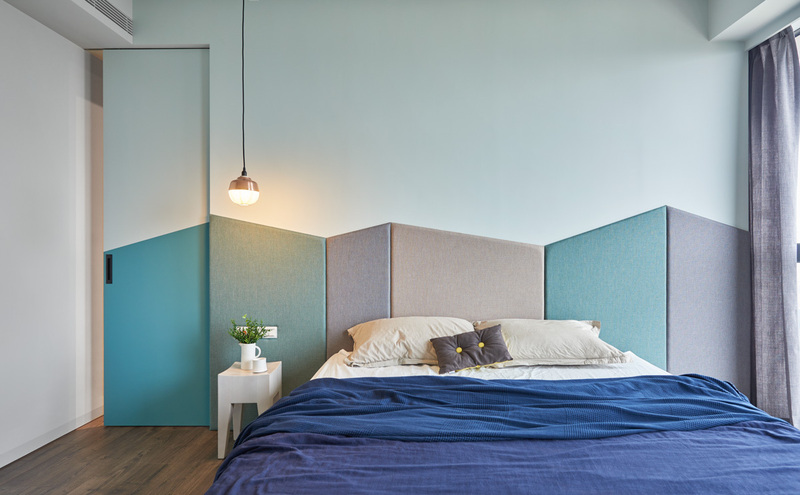 Turquoise marks the spot in this two-level sleeping space, which leans ladders to the upper bed, a coloured panel around the lower. Double mattresses and a large cloud decal make this much more interesting than your standard bunk. A blue and purple bedroom creates an entirely different mood. With Marilyn on the feature wall and orchids on the floor, this gorgeous girl’s room makes blue pretty as lilac, white and yellow join the party. Nifty shelves and drawers beneath offer secret storage. 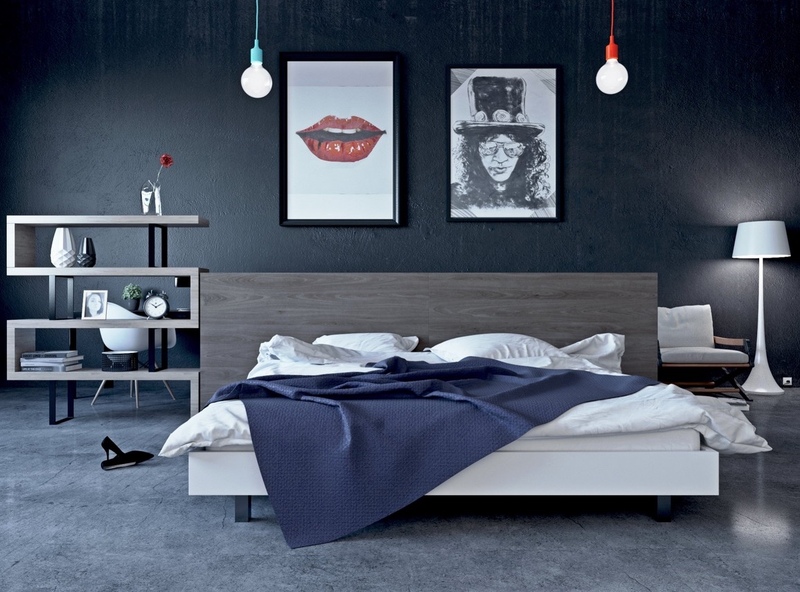 Minimalist is the word for this blue and grey bedroom. A typographic feature wall heads the space, with an enclave lined in blue. Grey wooden floors, light chiffon curtaining and low furniture show elegance. A blue ottoman and mat tie it all in. Take it to the next level with LED lighting. 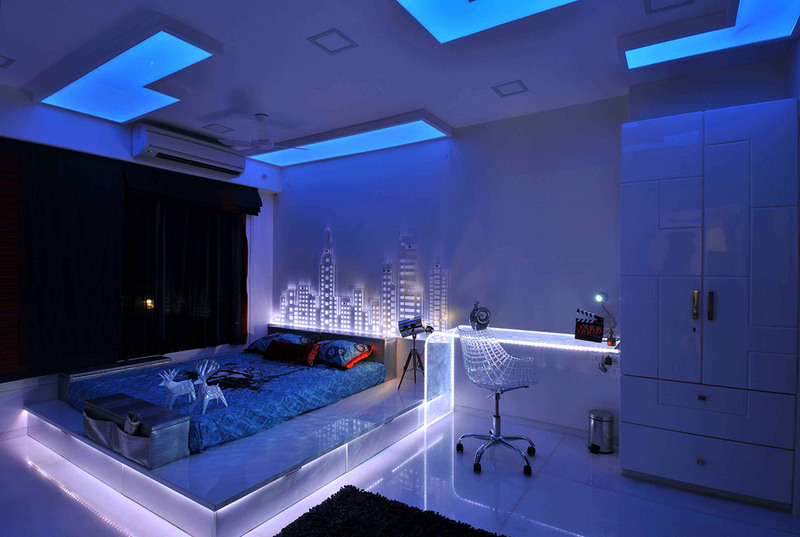 Featuring lighting panels in the ceiling, under-bed skirting and around the desk, this white room with blue lightbulbs takes you to New York at night. White floor tiling keeps it looking sleek. Go for casual cool in darker blue shades. Set on a concrete floor, an almost-black wall and dark denim mingle with simple wood and white furnishings. Two colourful bulbs and pop art prints complete the look. 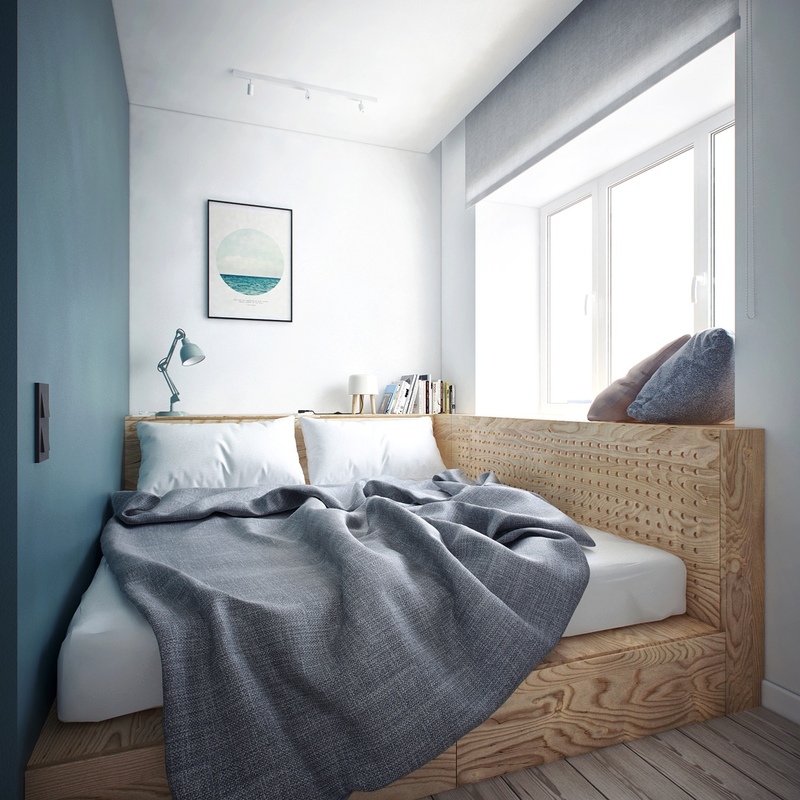 Many shades of blue contribute to this bedroom’s zen. 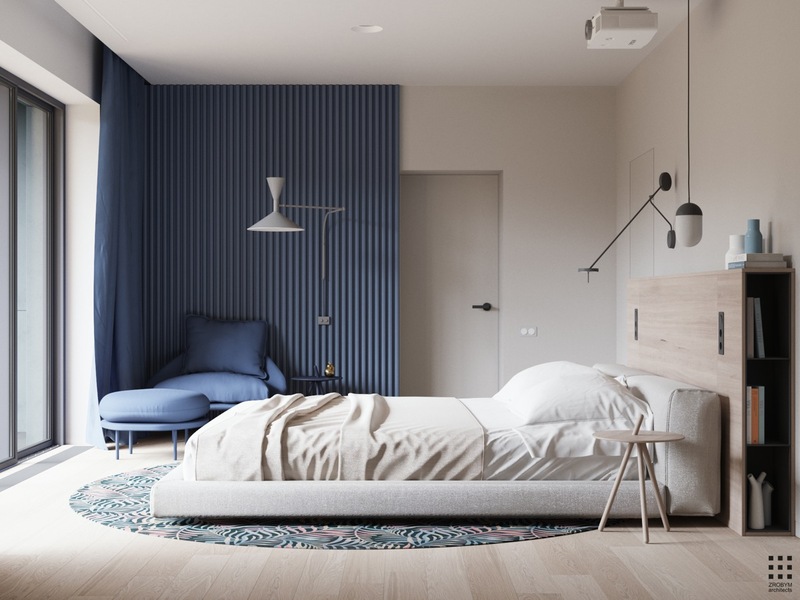 A dark blue wall heads the bed, a striped rug the floor and an almost-grey throw the covers, while a filigree lamp glows through the darkness. Two swing arm wall lamps illuminate a place for sleeping. Want to travel the world? Make a blue feature wall your inspiration. 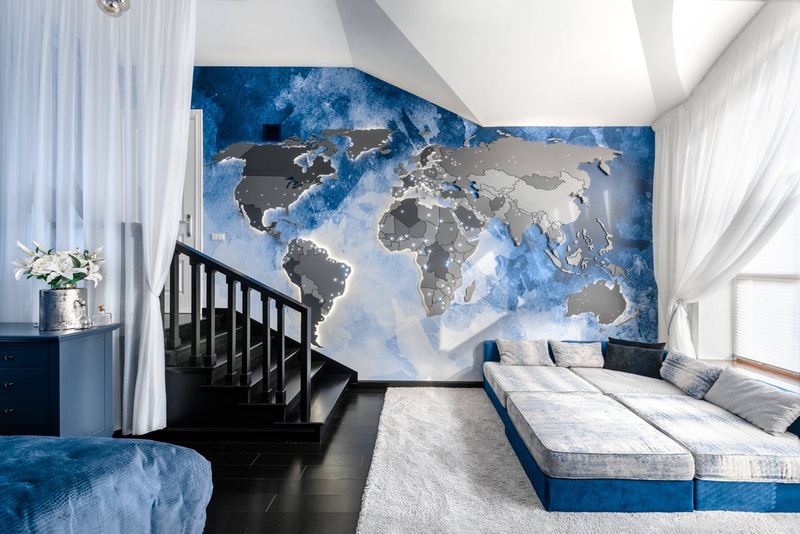 This blue and grey bedroom maps out the globe, using a bed-come-couch and velvet ottoman as colour coders. Transition your teenager into a more grown-up room. This fleur-de-lis wallpaper, baby blue duvet and dramatic drapery provide childlike comforts, whilst white furnishings and two wicker bedroom chairs look to the future. 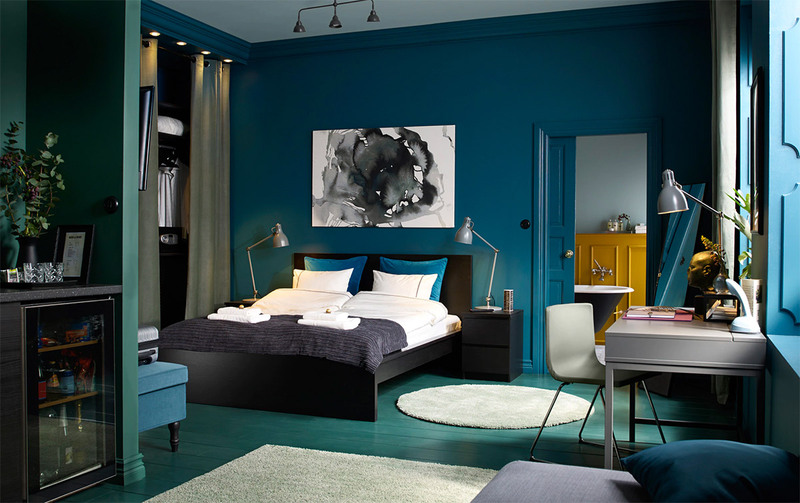 This contemporary room for two shows a blue bedroom set is sometimes all you need. Set upon a concrete accent wall, teardrop wall icons, woollen rug spheres and a quilted bed frame keep it cosy. A wooden floor brings warmth, a private deck the summer view. 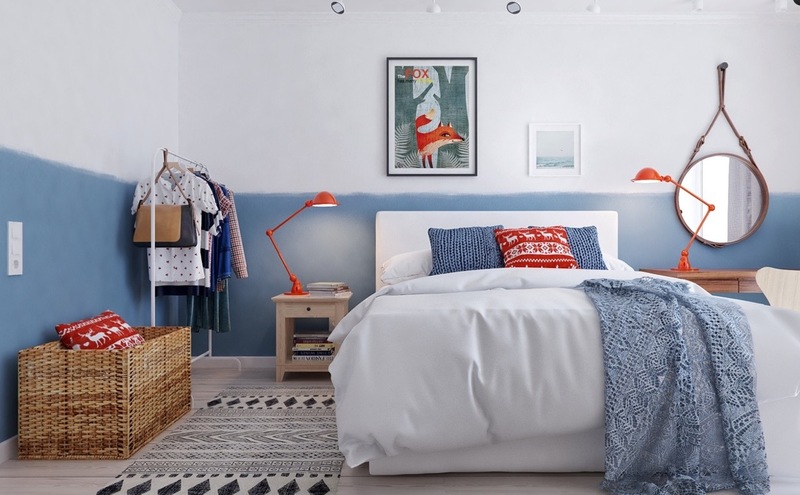 Design your blue bedroom Scandinavian-style. Complete with a circular hanging mirror, orange grasshopper lamp, open wardrobe and fox print, its half-blue wall reminds of the sea’s rolling tide. Prefer pastels? 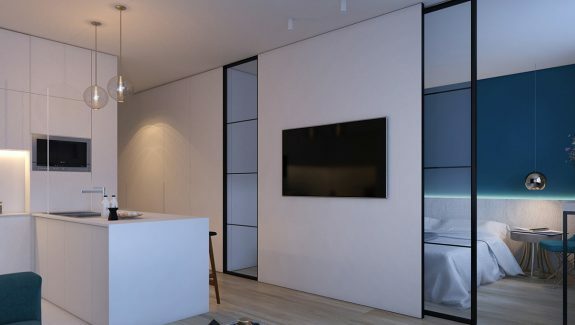 Make like this bedroom, and design a line of oscillating panels. 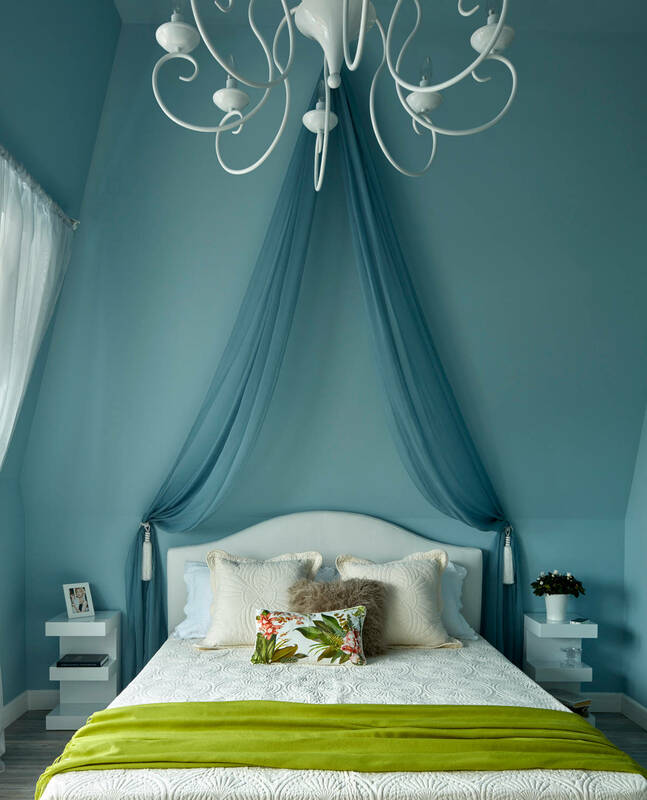 A bright blue duvet and single pendant match the theme perfectly. 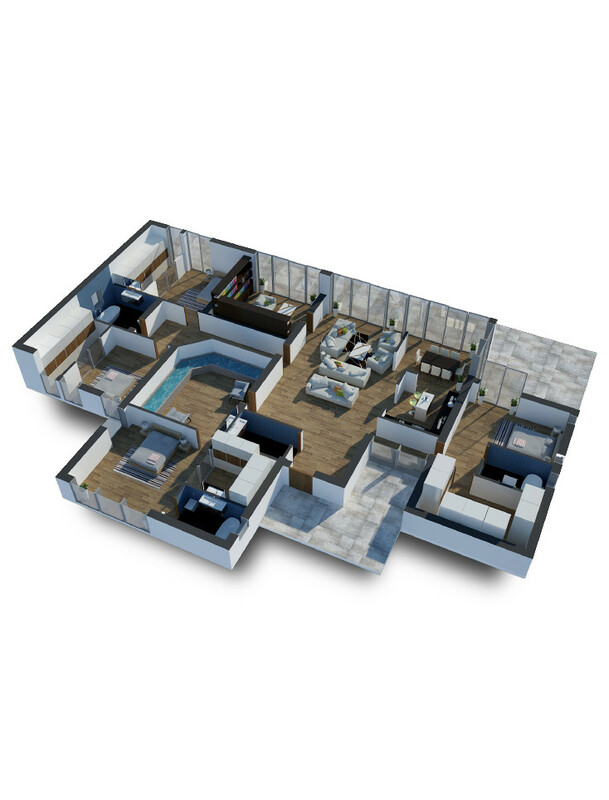 It’s hard to find a bedroom that both partners like, but this blue gem could fit the bill. Kept light and airy by a beige and white futon, its corrugated iron creates a not-too-girly feature. A matching chair, ottoman and simple swing lamp create a place for reading, whilst extra books lurk inside the headboard. 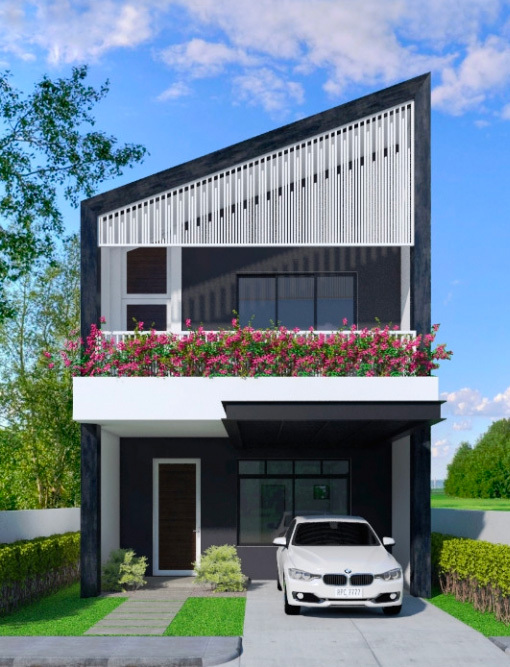 Have a small space to work with? Frame your bed in wood, painting a side wall blue. This compact bedroom shows how it’s done, as throw cushions, a simple painting and crouching bedside lamp add flair. Love thin wooden panels? 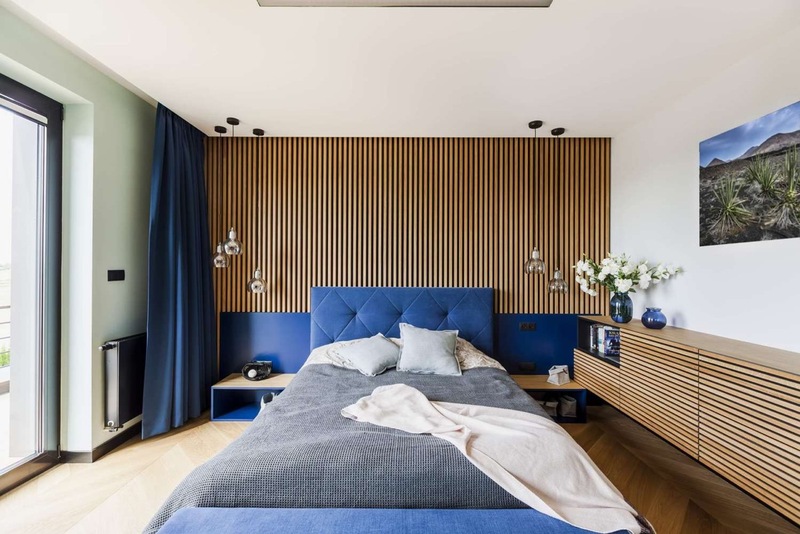 This bedroom stretches them over a wall and side ledge, as blue takes centre stage. White surrounding walls, a landscape canvas and potted white peonies bring a sense of grace. 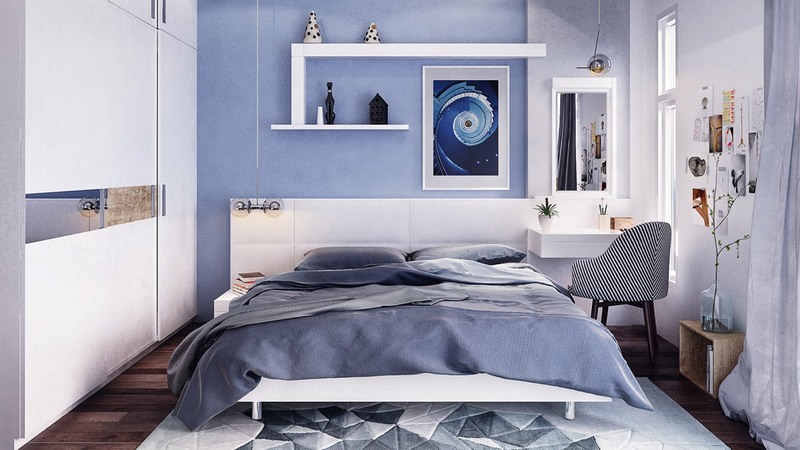 Japanese design enthusiasts can’t go past this zen bedroom in blue. A black futon bed, pillow and high-shine wooden flooring meet their match in turquoise bedding, an ottoman and glass-covered prints. LED lighting and white keep the look minimalist. This blue bedroom could have you dreaming of Scandinavia. 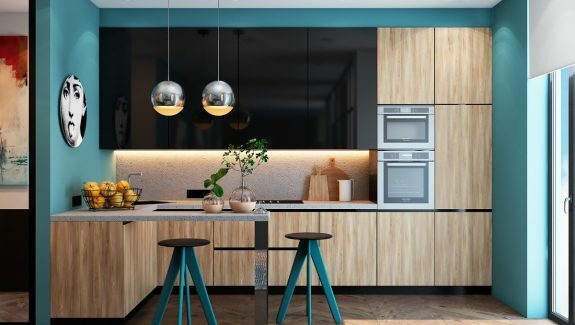 A gorgeous shade of teal covers all four walls in this Nordic style, which uses white to frame all the spaces inbetween. Unusual fixtures in the fluffy chandelier, monochrome prints and idle suitcases make this a beautiful example for Scandinavian bedrooms. After a light blue bedroom instead? This quirky little number places mirrors on its bedside table, quilting on its headboard and a textured print beside it. Touches of soft grey and white enhance its pale, fresh hue. Use blue to create striking colour combinations. The dramatic striped rug of this boudoir pairs with a red duvet,patterned cushions and a turquoise headboard, infusing a Mediterranean feel. A baby blue border around the walls’ uppers softens the contrast. Create difference with tiny pops of colour. The blues in this bedroom’s prints and cushions set its white walls and wooden floors apart from the neighbours’. A string of fairy lights gives the room a festive feel. Rather be at the beach? 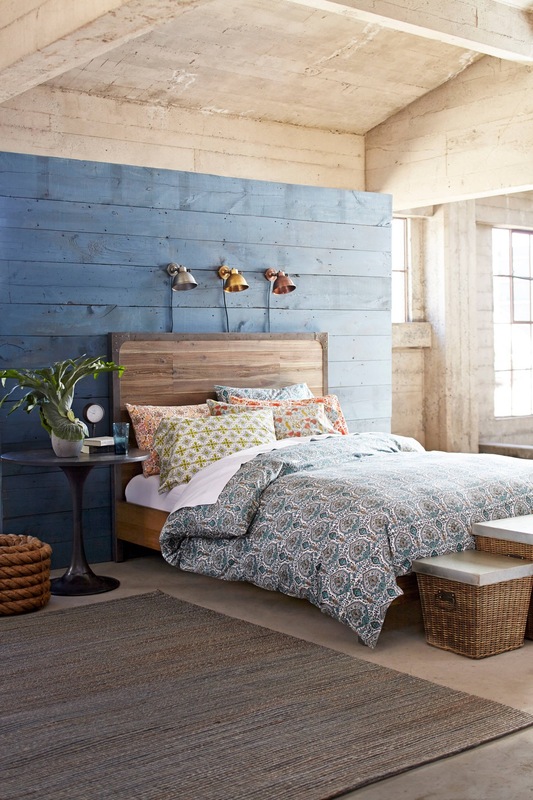 This rustic bedroom sits you right beside the sea. 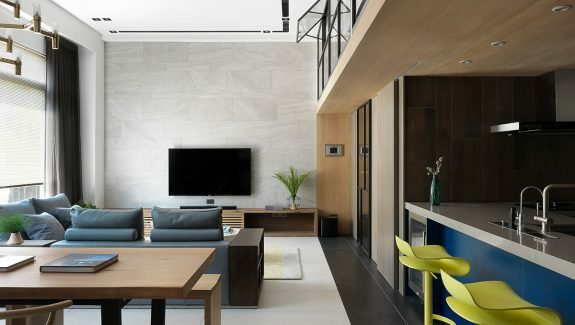 Light wooden ceilings provide room to breathe, above a deep blue panel. A patterned blue duvet and raft of competing cushions add character, while three metallic wall sconces above head a space for reading. Make a splash in blue and yellow. This bedroom borders on the artistic, with a painterly rug, textured graphic wall and gothic fireplace for company. Yellow heads up two geometric feature chairs and a vase-shaped bedroom table. Metallic bedroom pendant lights polish off the look opposite a golden wall sconce.